Buy and build a conservatory perfectly suited to your home. At Conservatory Land, we offer customers a wide choice of different styles. From Edwardian and Lean To, to P-Shape and T-Shape. We even have DIY conservatories bespoke to bungalows. Whatever it is that is going to make your home extra special – we can supply it here at Conservatory Land. If you’re interested in learning more about our conservatories, request a free brochure from us today. Because we have so many different style options, you can find the right conservatory for your home. Some of our styles are specifically built for certain house types. For example, if you have a bungalow, then we have conservatories designed for that very purpose. Likewise, if the shape and size of your property permits it, then you can choose to buy a corner conservatory. 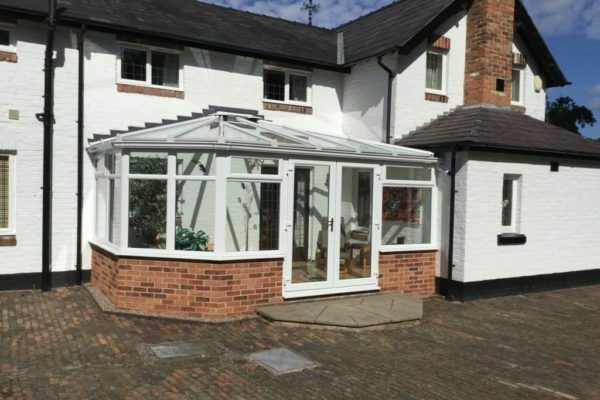 Our conservatories are incredibly simple to install. We’ll provide you with easy-to-follow instructions, and you’ll be able to phone our team of experts if you run into any problems. Some of our customers choose to hire a local builder to complete the work – and we’re happy to talk to them too – completely free of charge. Delivery is also free, and your new conservatory comes with a 10 year guarantee. If you’d like to discuss any of our conservatory styles, or just want to chat about your options, then don’t hesitate to contact us on 0800 952 8000.